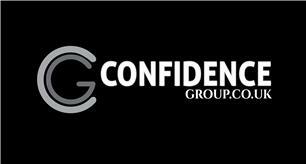 Confidence Group Southern Ltd - Bathrooms, Bedrooms, Builder, Kitchens based in Ferndown, Dorset. At Confidence we specialise in kitchen, bathroom and bathroom renovations as well as garage conversions. We have over 40 years experience in the building and fitted furniture industries and we have worked on a huge variety of projects, from producing quality jobs on tight budgets to working in multi-million pound houses. During this time we have worked with literally hundreds of trade professionals, we use our experience and the relationships we've built to make sure that we only use the very best people that provide the reliability and quality that we expect. Whatever the size of your project, we aim to find out precisely what you want and deliver exactly that. We produce plans and schedules to maximise efficiency, minimise stress and make sure your project is the enjoyable and exciting experience it should be. From the initial clearing out to the finishing touches, we've got you covered all the way. If you have any questions or would like to arrange a visit, please do not hesitate to get in touch.